Many of us cannot imagine life without coffee and why should we? With such a rich tradition of locally grown coffee India has plenty of choice for the modern coffee consumer and connoisseurs too. From single estate coffees to premium instant coffees available online and in stores, there is a perfect coffee for every coffee lover here. Not only are big FMCG companies enjoying a slice of the market but there are quite a few boutique brands and cafe chains that are all fighting for our attention. Here are 10 best coffee brands in India today, many of which you directly online or at stores. The name Blue Tokai comes from an ancient word for the tail of a peacock –tokai – and this tail makes up the logo of the Delhi based artisanal coffee brand Blue Tokai. Faced with the lack of freshly ground good coffee in Delhi, Matt and Namrata established Blue Tokai as their attempt to bring good coffee to north India. The company roasts coffee twice every week and sends out custom ground coffee to clients across India. They have single orders and monthly subscriptions. The Blue Tokai Coffee Roasters Vienna Roast (Dark Roast) has 100% Arabica beans. It is dark, oaky and faintly fruity. The Flying Squirrel started in 2013 and is today one of the leading online coffee brands in India. Most of its coffee is grown in Coorg where the main estate (the 100 year old Nellikad Estate) is located. One of the most common animals seen in this area is the flying squirrel and the coffee brand has taken its name from this little animal that glides from tree to tree feeding on berries and fruit. Today the brand offers six varieties of coffee plus blends and other coffee related products. The Flying Squirrel Taster’s Whole Coffee Beans 6 pack is a great way of exploring the best that this brand has to offer. 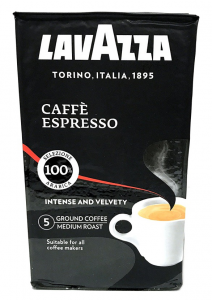 Founded in Turin, Italy in 1895 by Luigi Lavazza, the company was run out of a grocery store when it started. Today it is run by the third and fourth generations of the same family. Coffee is imported from various sources around the world to be blended by masters. Lavazza is a leading brand in Italy and has a presence in more than 90 countries around the world including India. Lavazza Caffe Espresso is made with 100% premium Arabica beans. This medium roast coffee can be brewed in any coffee maker so you don’t have to worry about special or expensive equipment. Kick start your day with a wide variety of Coffee beans and blends available Online on Big Basket. Avail the latest and best grocery coupons from Big Basket at GreatBuyz and Save. The Seven Beans Coffee Company is a collaboration between Italian Master Roaster Dr Dante Cagliari, and Indian coffee growers, the Shettys, that aims to provide the best bean to cup coffee to its clients. All their coffee is grown on independently owned coffee plantations in the Chikmagalur district of Karnataka. The company not only produces perfectly roasted coffees in powder form but also makes single use coffee capsules that keep the flavour and aroma of the coffee locked in so you get a perfect cup of coffee from each capsule. 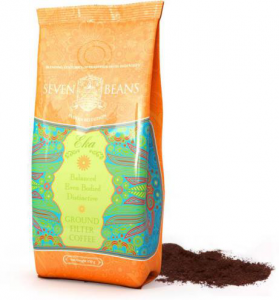 The Seven Beans Eka Ground Roast is a balanced even bodied coffee specially blended by Dr Cagliari for the company. Starbucks Corporation was founded in Seattle, USA, in 1971. 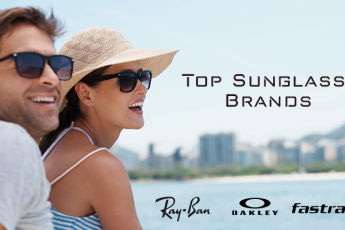 Today the company has more than 26,000 outlets worldwide. Starbucks opened its first outlet in in the Elphinstone Building at Horniman Circle, Mumbai, in 2012. Since then it has spread to many locations, not just in Mumbai but to many major cities around India. The joint venture between Starbucks and Tata Global Beverages is called Tata Starbucks Ltd. 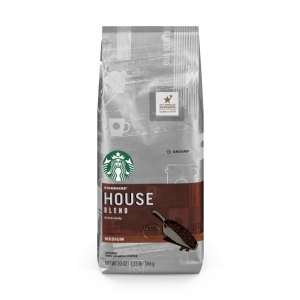 The Starbucks Ground House Blend has flavours of nuts and cocoa enhanced by the roasting process. The Zino Davidoff Group was founded in 1980 as a business focused on premium luxury products. Though the company started with fragrances they soon branched into watches, leather goods, fashion accessories, and coffee, among other things. Davidoff coffee was launched in the 1990s and has been available in India for few years now. Supreme World Davidoff Coffee Espresso is an intense and assertive coffee with a mellow finish. Nescafe is a household name for coffee in India and has been ruling the market for more years than we can count! Nestle S A is a Fortune 500 company headquartered in Switzerland and with a strong presence in India. The first factory was set up in India in 1961 at Moga in Punjab and since then has expanded with factories and offices across the country. Among the numerous FMCG products Instant coffee is an important one with many variants. Nestle Classic, Nestle Sunrise, and Nestle Cappuccino are some of their bestsellers. 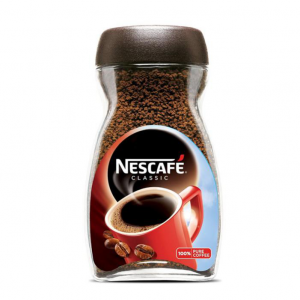 Nescafe Classic is one of the oldest in the Indian market and still dominates. Launched by Hindustan Lever nearly 50 years ago BRU is one of the bestsellers among coffee brands in India and is marketed under the Brooke Bond umbrella brand. The brand has numerous variants including BRU Gold, BRU Select, BRU roast and BRU Instant, to name a few. BRU Gold Instant coffee is a 100% coffee blend of plantation and robusta beans picked from coffee plantations in South India. Grofers your friendly neighborhood online shopping grocer has a cool selection of everyday use Coffee brands, check out coupons of Grofers on GreatBuyz to save big on your daily essentials. Originally known as Consolidated Coffee Estates, established in 1922, the company underwent many changes and was eventually taken over in 1990-91 by Tata Tea Limited with the acquisition of a controlling interest. The company was renamed Tata Coffee Limited in the year 2000. It is the largest producer of Arabica and Robusta parchment of Indian origin. Its products include green coffee, and Instant coffee. 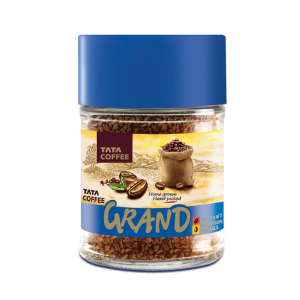 Tata Coffee Grand Instant Coffee is a home grown and handpicked coffee from Tata Coffee plantations. It is a mix of fine coffee powder and decoction crystals for a very superior instant coffee. Café Coffee Day or CCD is an Indian café chain that was founded in 1996. It is a subsidiary of Coffee Day Enterprises and today has a strong presence in six countries serving nearly two billion cups of coffee a year. The company not only grows and processes its own coffee, it also makes coffee machines and the furniture for its outlets to reduce costs and fully integrate its operations. 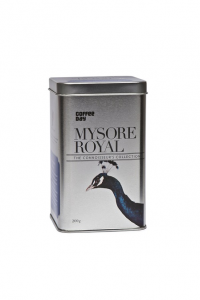 Coffee Day Mysore Royal Coffee Powder has exotic spicy notes. This shade grown handpicked coffee comes in a re-sealable tin that keeps the freshness and aroma of the coffee powder locked in. Choose from a wide variety of specialty coffees and coffee beans available at Nature Basket Online Grocers and don’t forget to check out coupons from them on GreatBuyz and enjoy cool savings. Have any more coffee brands which you believe we should add to the list? Share in the comments below.